When you are planning a nursery for your baby you obviously look for the best of things. 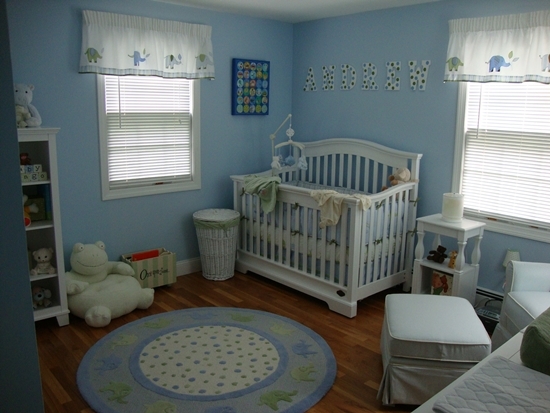 You want everything perfect for your little angel, giving them every comfort in the world. 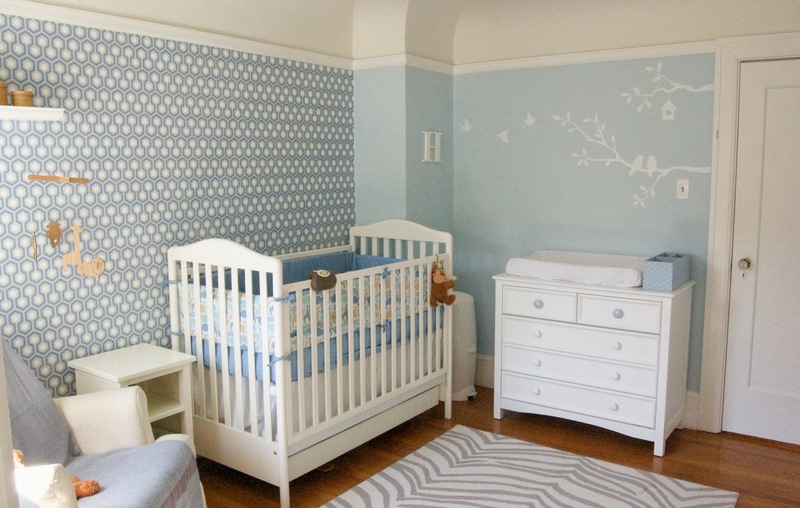 Decorating a nursery requires you to pay attention to the minutest of details, especially if you want your baby to have the best of everything. 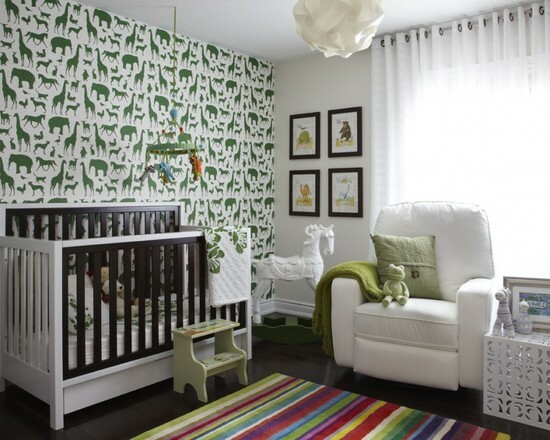 Right from crib to wall and floor décor, you need to have a fair idea on what scheme to choose for the nursery. 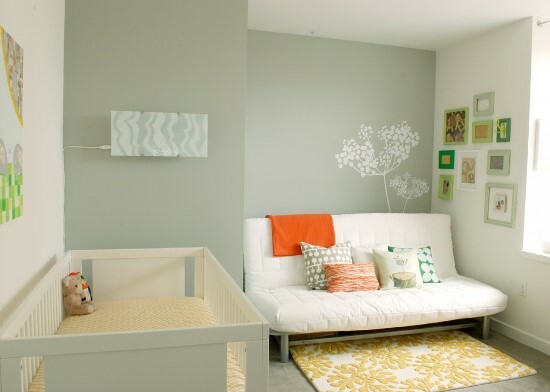 You can choose a single color scheme or contrasting colors scheme for the nursery. Whatever you decide, all décor items should be in sync with everything else in the room. 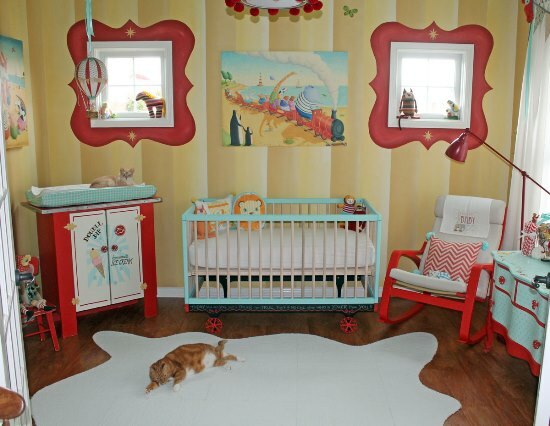 And this includes the nursery room rugs as well. 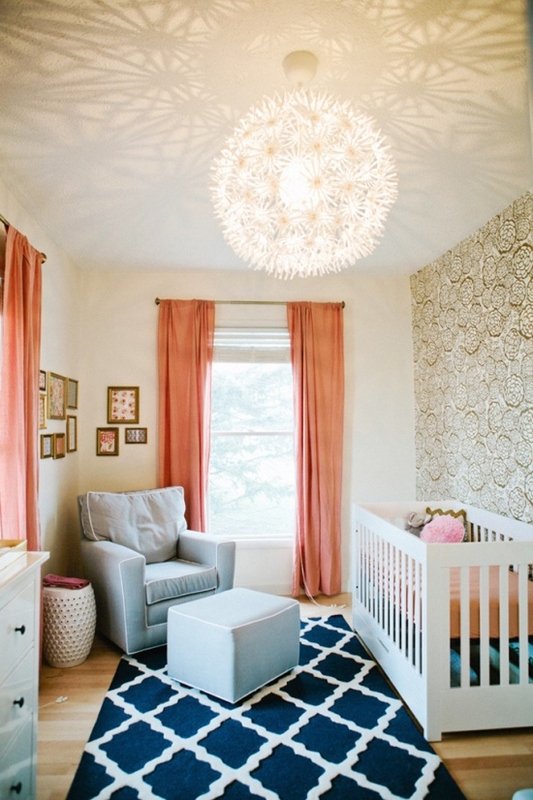 No matter what you plan for your baby’s nursery, rugs should definitely be given equal thought. 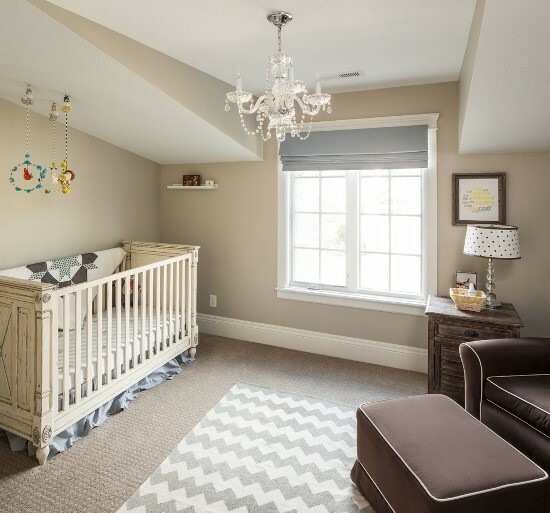 Rugs make an important part of a nursery, sometimes acting as an enhancer of the beauty of the room, while mostly it acts as a comfortable floor seating for your baby. 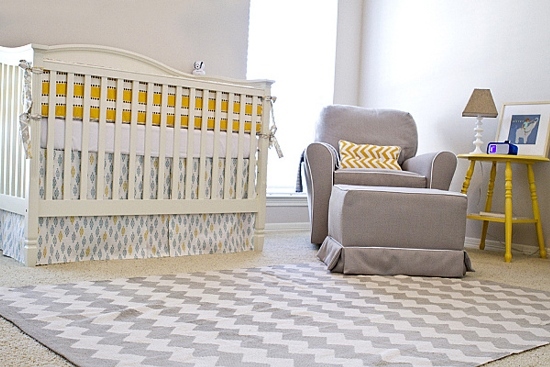 Nursery rugs come in many different forms, shapes, and sizes. 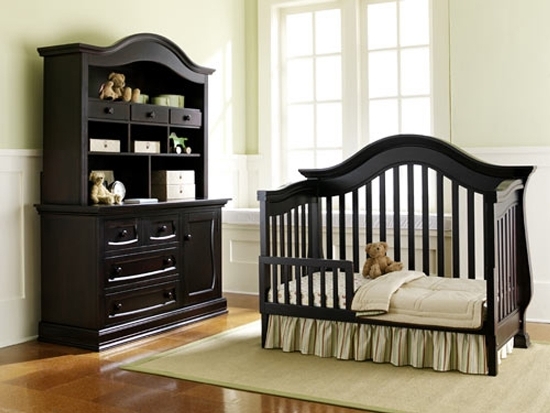 You have a wide variety of rugs to choose from and add that final edge to your already beautiful baby room. 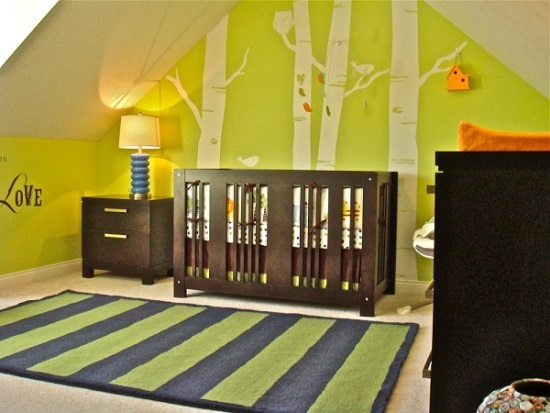 Different materials are used to make these baby rugs, each of which has their own beauty and appeal. 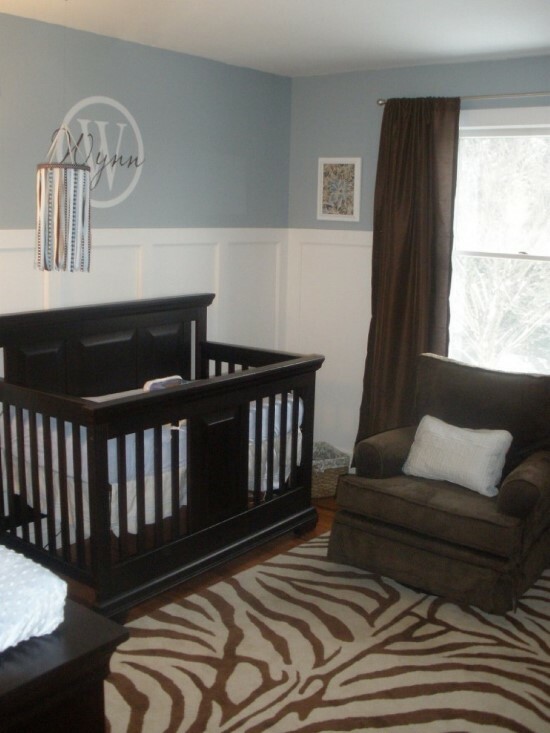 One of the types of rugs you can use in your nursery is solid and braided rugs. 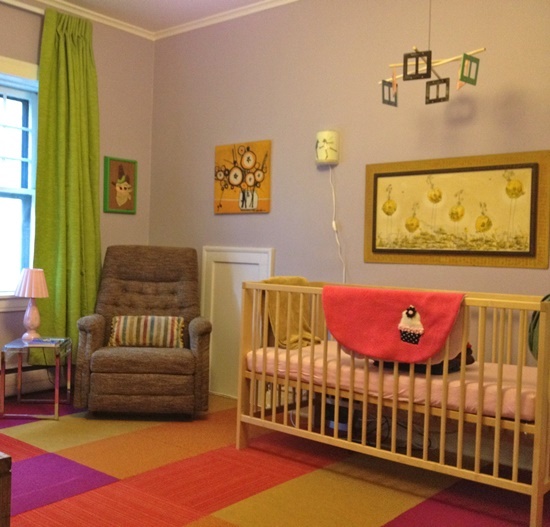 Many different colors and materials are used to create these rugs for nursery. 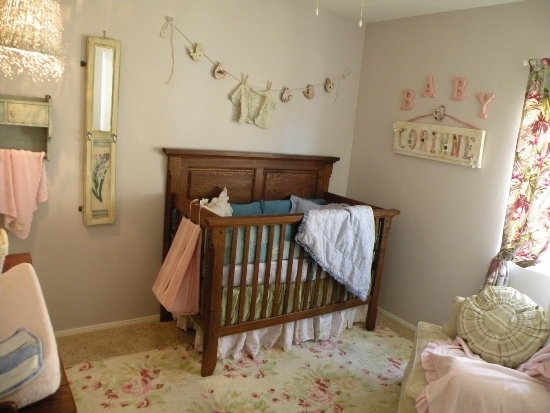 Jute baby nursery rugs are one of the types, which gives your nursery an exquisite look. This simplistic rug is hand-woven, made while keeping earth in mind. When available, organic and sustainable materials are used to make these rugs. Hampton braided rugs and Ridgeway rugs are also two other solid and braided rug types. The hand-woven strata wool rug is made with raw New Zealand wool. The thick and plush wool will give highest level of comfort to your baby’s soft feet. 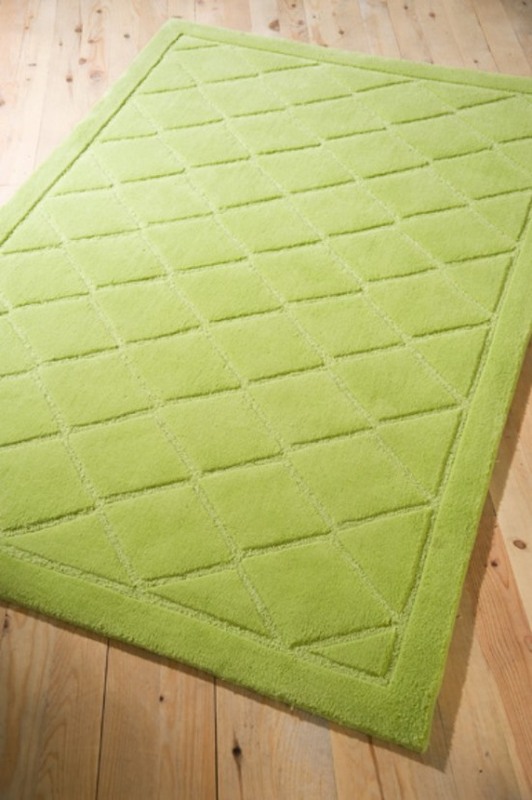 Celecot shag rug is a mix of wool and polyester, which will also have a soft feel. 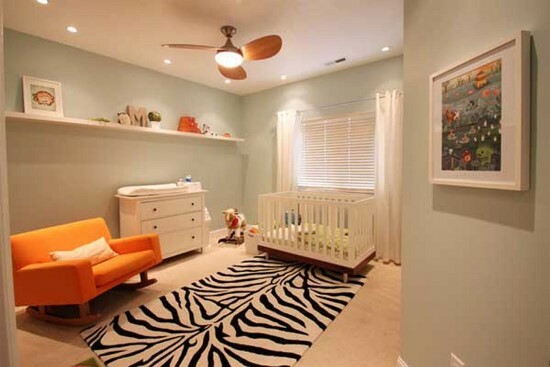 Despite the shaggy look, these nursery room rugs give a beautiful look to the nursery. 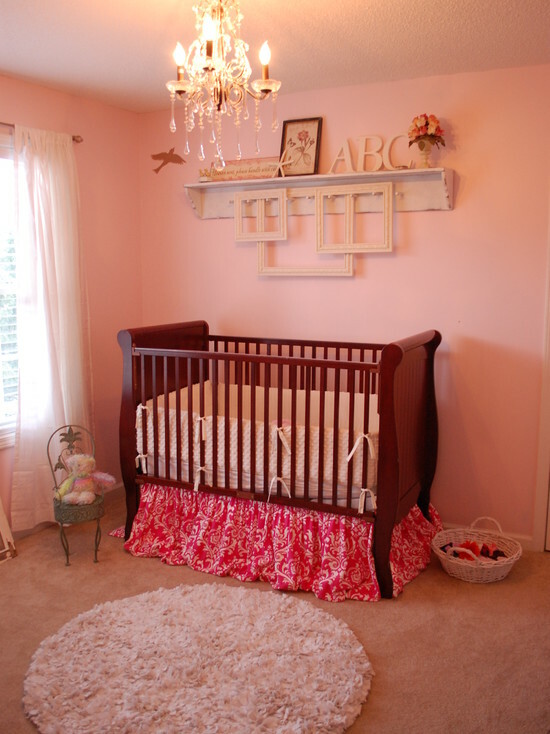 Floral rugs are also a great choice for your kids room. 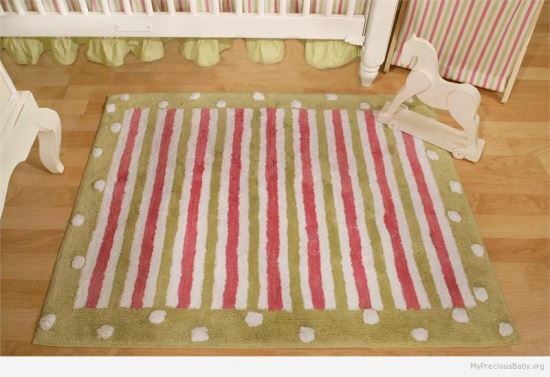 These baby rugs would especially blend in well with a baby girl’s nursery. There are various patterns and designs available for floral rugs. 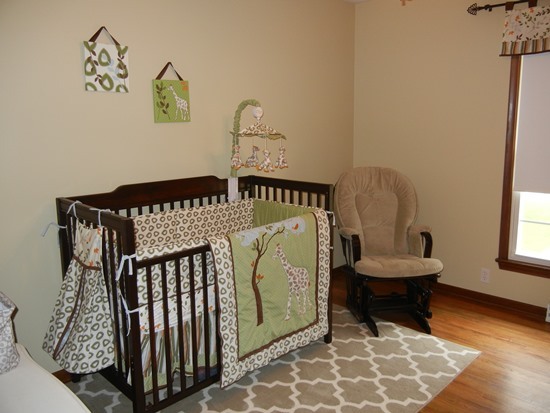 You may choose to have a complete room length nursery rug or have a smaller size that is placed either in the center or a corner of the room. 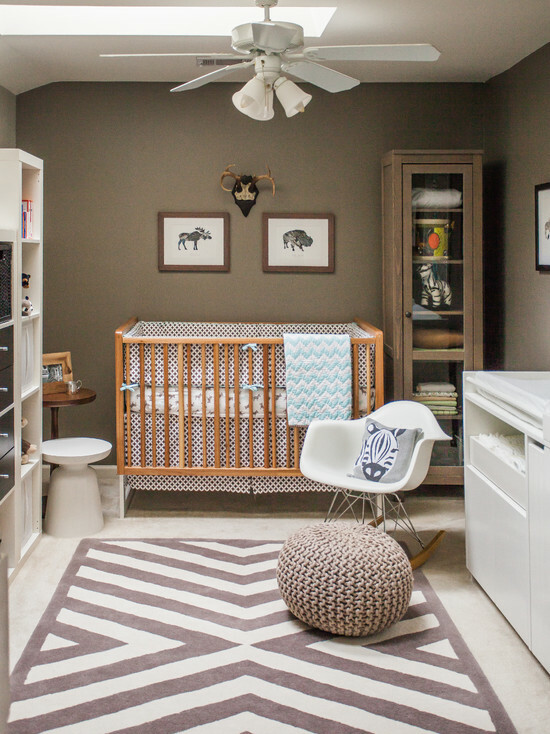 Uniquely patterned rugs also make a great choice for modern or contemporary theme nursery. 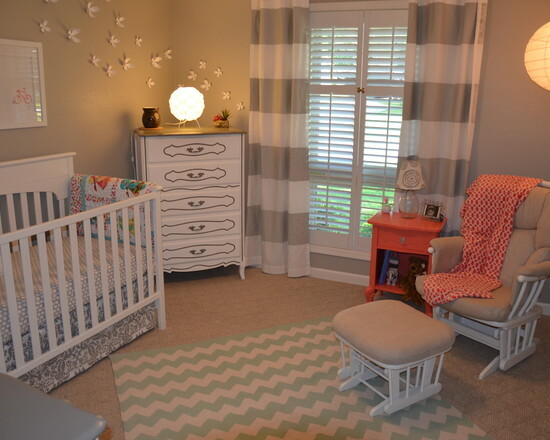 In regards to shapes, round and rectangular are the most used shapes for nursery room rugs. You can have custom made, personalized rugs that may have the first letter of their name woven into it. You can also have cartoon or unique designs woven into the rugs, to give them a unique look. 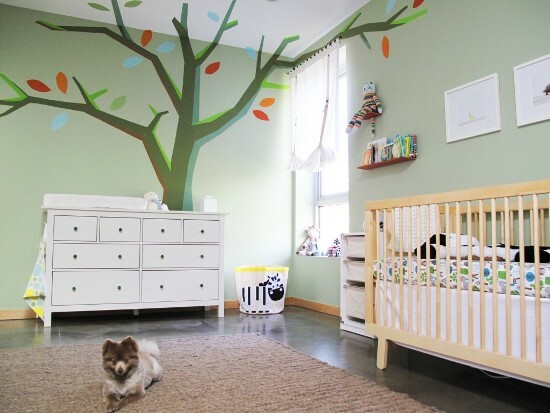 Here are 50 creative baby nursery rug ideas for you to sift through and choose from.